Fighting ISIS is Washington's excuse to be back in Iraq, back in Syria, and now back again in Libya, said Sara Flounders, co-director of the International Action Center. 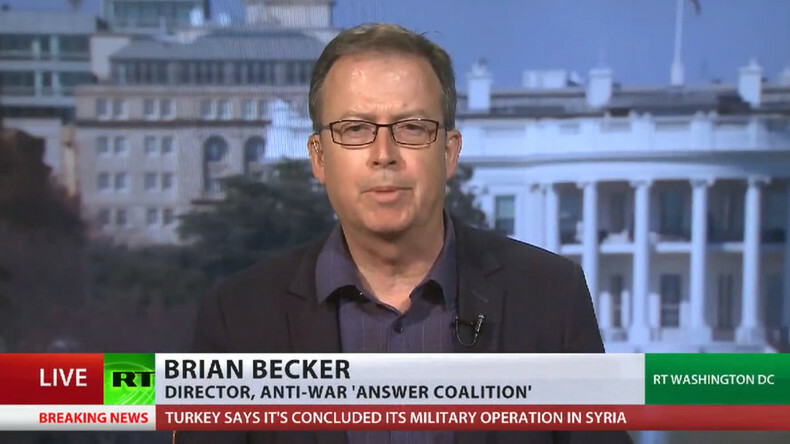 Brian Becker, National Coordinator of ANSWER Coalition, also joins the conversation. Amnesty International has blamed the US-led coalition for not taking the relevant precautions to prevent civilian deaths. Residents there have the choice of escaping or staying in the city, but both have deadly consequences. The head of the US Central Command Joseph Votel said at a Congress briefing that the US military had elevated the level of inquiry into the Mosul air strike that allegedly killed a large number of civilians. RT:What was your impression of the General's congressional hearing? There didn't appear to be any sense of condemnation. Why do you think that is? Brian Becker: No, on the contrary. It is an amazing discussion between the Congressperson Max Sandlin, I believe, and the General. They are not caring about the civilians who are dead. They are irritated about having to have high standards that prevent civilian death. They are irritated about those pesky reporters who asked them about civilian deaths. It is the height of cynicism. The Geneva Conventions and the subsequent protocols that were appended to it in 1949 and then in 1977 make it quite clear that if you do not take affirmative action to protect civilians, even if our combatants are close by, you’re in violation of international criminal codes about the conduct of war. In other words, you’re committing a crime against humanity and war crimes. The Congress personnel has also said that ISIS started the war and if they use civilians as shields, we have to go after them. ISIS didn’t start this war. I was in Mosul in 2002 several months before the US started the war in Iraq in March 2003. I was in the city, and it was being bombed at that time, in September 2002 by the US. The US started the war; it fragmented Iraq. Millions of Iraqis were made into refugees. The country was fragmented, more than a million died. The US started this war and now we have Trump as the fifth straight US president bombing Iraq. These are war crimes against Iraq. RT:A US commander acknowledged it was likely a coalition airstrike that killed over 200 people in Mosul. However, he went on to blame ISIS for the deaths. And did the same during the hearing. Is the US trying to avoid any legal ramifications? BB: Yes, they are dodging. In other words, there are different ways to fight in urban situations. One of the reasons that the battle in East Aleppo took so long is there wasn’t this kind of indiscriminate bombing. Contrary to Western media reports, the Syrian Arab Army, the Syrian government, and their Russian allies took a long time clearing East Aleppo, even though people did not want ISIS or Al-Qaeda forces, Al-Nusra to be there. They took time. The US isn’t taking time. They don’t care about civilians. The CENTCOM General [James Mattis] and General [Stephen] Townsend are annoyed; they are angry at the media for asking them questions about the civilians. They are not angry that civilians are dying. I am no supporter of ISIS. ISIS is a contemptible force. But again there would be no ISIS in Iraq if it wasn’t for this kind of bombing of Iraq by the US for the past 26 years. There have been constant exposures of this. Let’s remember Chelsea Manning’s videos of US helicopter gunships laughing as they incinerated a family in a van and killed two Reuters reporters. Let’s remember the photos of US troops laughing at the torture in Abu Ghraib, the Iraqi prisoners. 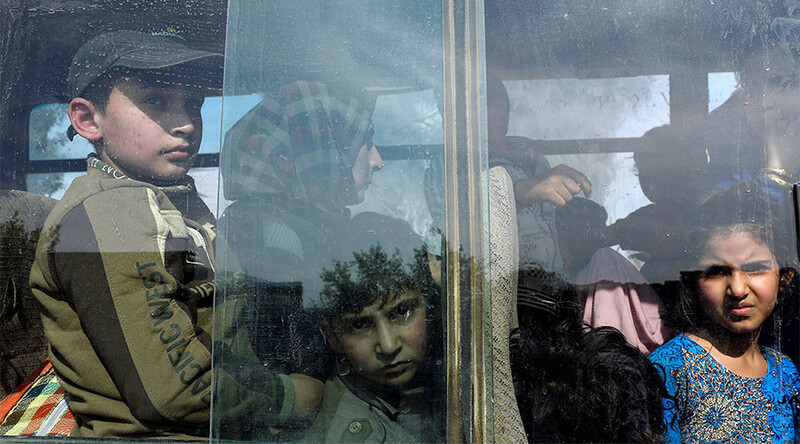 Let’s remember these images to know that it didn’t begin in Mosul. It is 230 deaths this week in Mosul, but it is tens of thousands of deaths again and again through sanctions, through war, through aerial bombardment, through the destruction of hospitals, schools, communication and electrification. 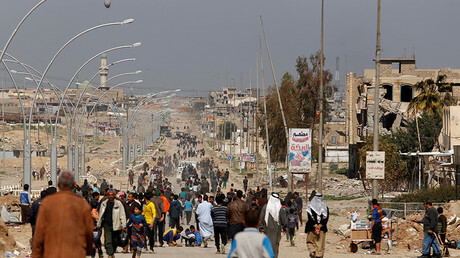 Everything in Iraq that could be destroyed has been destroyed; and they continue to destroy. RT:A US commander acknowledged it was likely a coalition airstrike that killed over 200 people in Mosul. However, he went on to blame ISIS for the deaths. Do you think the US is trying to avoid any legal ramifications? SF: Of course it was blame shifting, and the US will say it is the fog of war and they don’t know. Actually, who has done more in the creation and sustaining of ISIS forces through Saudi Arabia, through absolutely reactionary forces than the US government itself? It is their newest excuse to be back in Iraq and back bombing; it is their excuse for the bombing in Syria; it is their excuse for intervention again in Libya. Every one of these wars – we should look at what is happening in Yemen – the US wars in the region have created millions of refugees and millions of deaths and injuries that are just on a human scale. This is a great crime. Mosul is the latest example of no preparations, no precaution, telling people to remain in place.